What's better in the summer than hanging out with friends and eating hot dogs?? 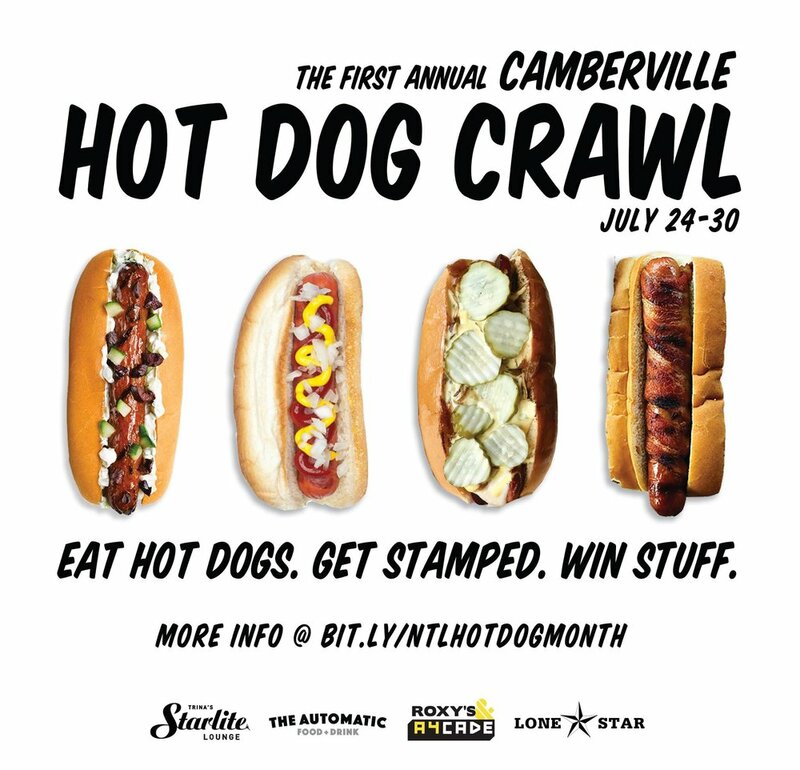 We totally want to encourage that behavior, so we asked our Camberville friends at A4cade by Area Four, Trina's Starlite Lounge, The Automatic Food & Drink and Lone Star Taco Bar Cambridge if they'd be game for a hot dog crawl. And they all said yes! So on Monday, 7/24, we're kicking off the first annual #CambervilleHotDogCrawl! 3. Once your card is stamped, you're entered in the raffle for a chance to win stuff! While you're at it, post some pics, tag us, and use that #CambervilleHotDogCrawl hashtag! You can get your hot dogs anytime between 7/24 and 7/30, but we'll be having some parties throughout the week, too! The fun starts on Monday, 7/24 at Trina's Starlite Lounge with their Hot Dog Brunch sponsored by Notch Brewing! Tuesday, 7/25, head over to A4cade and hit up the Hot Dog Party with Roxy's, A4cade, and Jägermeister! Thursday, 7/27, swing by Lone Star Taco Bar Cambridge for your Sonoran Dog fix! And we'll wrap things up with a Weiner Roast at the Automatic on Sunday, 7/30!